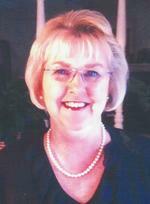 Peggy Hash Pendleton, 67, of Shepherdsville, KY, born September 15, 1950 in Paris, KY to J.C. and Christine Hash, passed to be with the Lord on Saturday morning, July 14, 2018. She is survived by her husband of 41 years, Stephen E. Pendleton; three sons, Todd (Gina) Pendleton of Mason, OH, Phillip (Allissa) Pendleton of Stanford, KY, Christopher (MaryJean) Pendleton of Charlottesville, VA; her parents, J.C. and Christine Hash; seven grandchildren, Jeress Pendleton, Alexis Pendleton, Hannah Pendleton, Connor Pendleton, Keaton Pendleton, Edward Pendleton, Clara Rose Pendleton; a sister, Cathy Hash (Jim) Toadvine; a brother, Scott (Janice) Hash; and numerous nieces and nephews. Peggy was a member of Central Baptist Church, Paris, and retired in 1985 from Bank One in Lexington, KY to become a full time mother. She was devoted to her family and she volunteered tirelessly at several Bullitt County schools. Visitation will be at 11:00 a.m. Wednesday, July 18, at Hinton-Turner Funeral Home, 526 Pleasant Street, Paris, KY. Funeral will follow at 2:00 p.m. by Rev. Steven Scherer with burial in Evergreen Memory Gardens. Casket bearers will be Josh Bobbitt, Eric Hash, Scott Hash, Todd Pendleton, Phillip Pendleton, and Christopher Pendleton. The family request donations to be made in lieu of flowers to Hosparus Health, 3532 Ephraim McDowell Drive, Louisville, KY 40205. To send flowers to the family of Peggy Pendleton (Hash), please visit our Heartfelt Sympathies Store.